Modern Vs. Traditional…the debate continues. So lets take a look at this home. 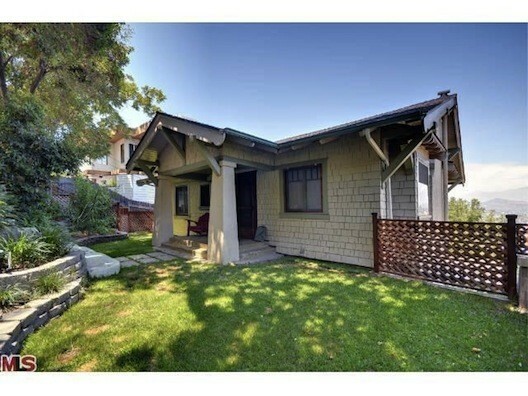 This is a 100 year old Craftsman home in Echo Park and just from this picture alone you can tell it a great older home with a lot of character. Check it out here (and if you are interested let me know). If you have been following me on Facebook or are a regular reader of this blog then you probably know I like having this debate. The Modern home Vs. The Traditional home. To be honest with you Im not quite sure what side of the fence I fall on, and before you point out my old blog post here, understand that I’m not sure what my dream house would look like. That being said it would be easy to call a place like this home. Old homes tell stories, and while modern homes have sleek styling, modern amenities and a slew of cool new features older homes have certain personality. Like a classic car or an old guitar, older homes just have some sort of charm them that you cant quite put your finger on. So let’s hear some feedback, what side of the fence do you fall on? Let me know. I prefer a traditional home that I can modernize. To many homes that are modern are cookie cutter homes. Or maybe I’m watching to many DIY shows!